Went fishing with Kevin, Colter and Larry Friday night. We started out with a goal to catch crappie and not striper fish. 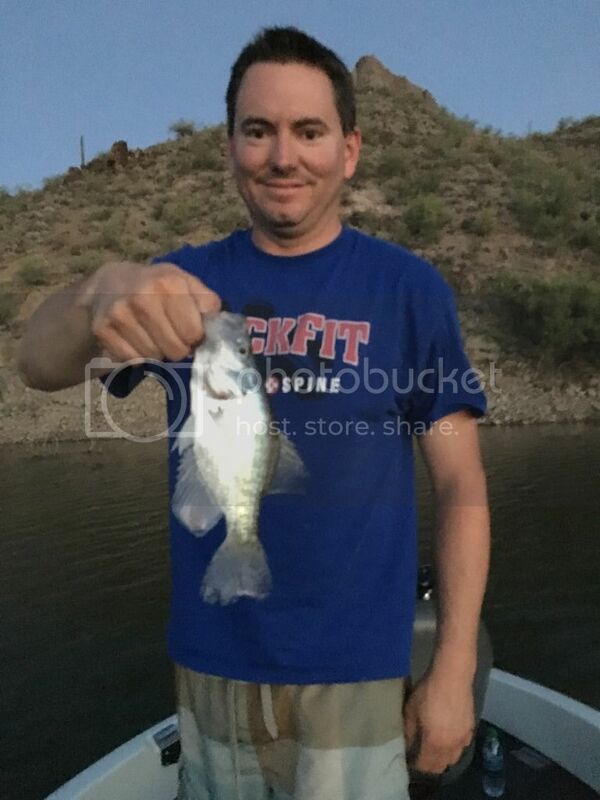 We started fishing about an hour or so before dusk, first fish on in about 15 minutes of fishing. Larry got the first crappie. I followed it up about 20 minutes later with a white crappie. We ended up fishing until about 1:30am and we were easily in the double digit range. Caught more crappie with 2 boats in 4-5 hours than an average Roosevelt fest. We did land a second white crappie later on in the evening. Even woke up to a 4:30 wake up call with a 12 inch crappie wrapped around the anchor line. I'd say there are still crappie in Pleasant! All in all a successful outing and look forward to finding some bigger slabs on the next trip. Thanks for the report, and sorry my plans changed last minute. As Rich mentioned, a pleasant surprise at Unpleasant for the first of hopefully more Friday Night Road Trips!! We didn't expect much Crappie fishing so we stocked up on chovies making a mistake by only buying 2 doz minnows each. Ran out of live bait fast ending up having to use dead minnows or using the few small shad that the guys were able to catch around the lights. If we had a better stock of minnows I think our Crappie count would have been better. The Crappie, however, were mostly 9" to 10" clones with a few keepers mixed in w/ biggest at 12.5". 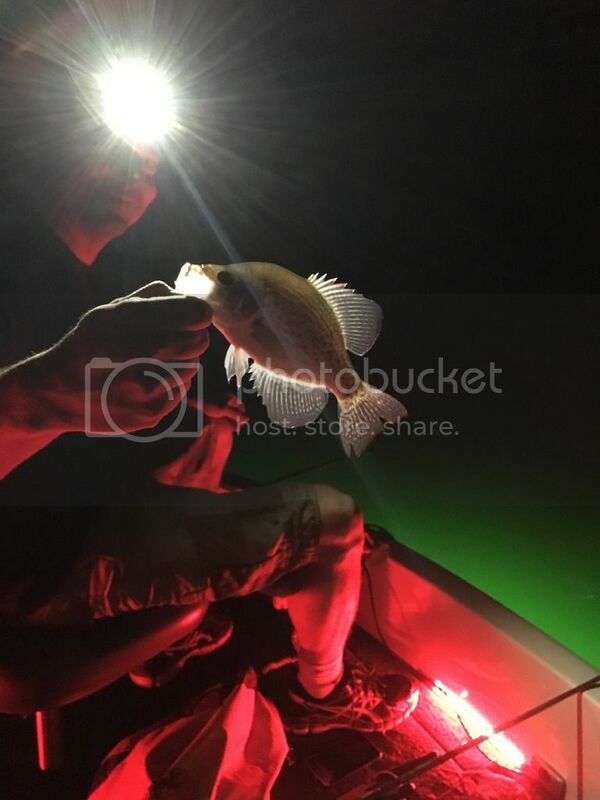 We even managed to catch a few White Bass under the lights also which was another pleasant surprise! Yes it was good to rediscover some crappie in there. 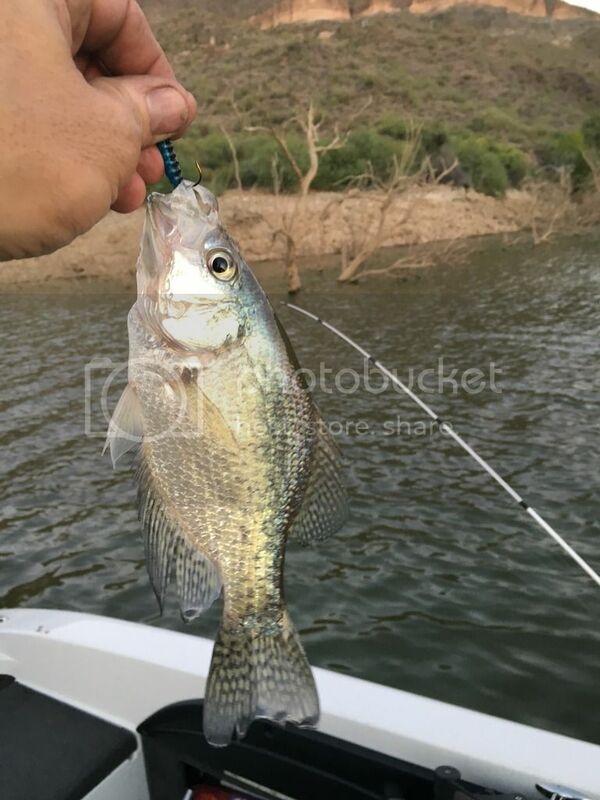 Only put a few crappie in our boat, more white bass for us but we got to the party a little late as well due to motor trouble and difficulty finding our compadres.